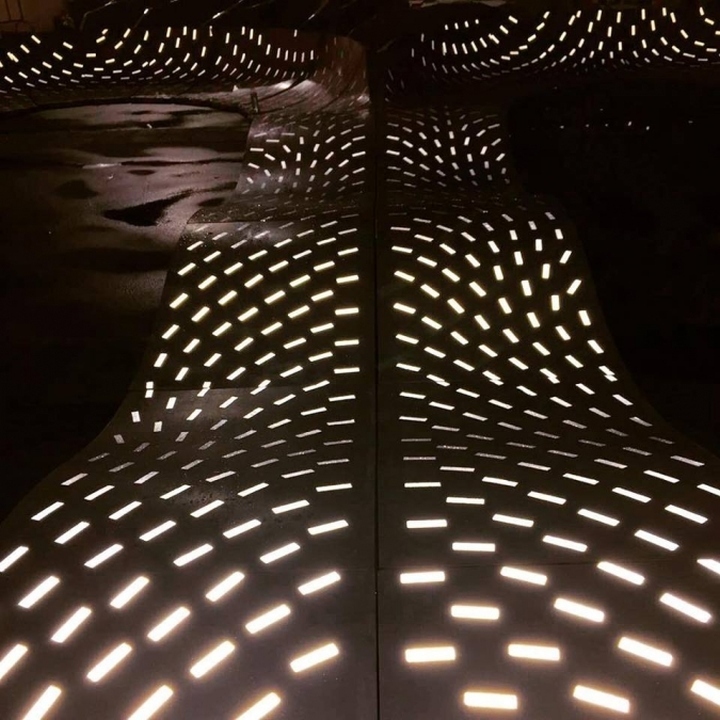 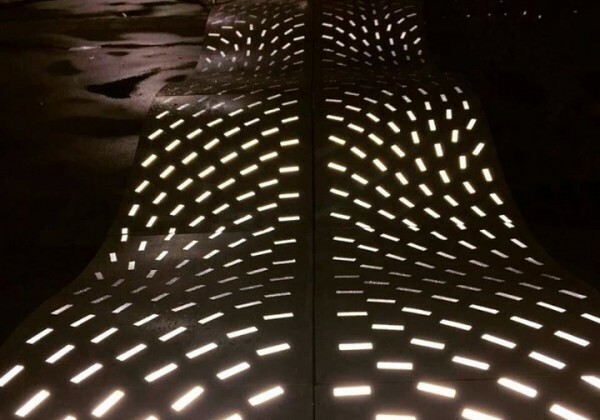 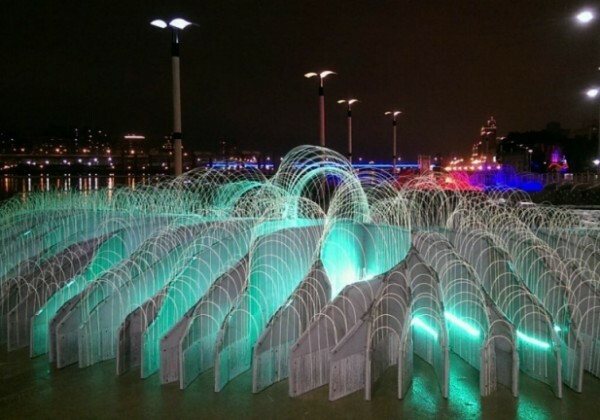 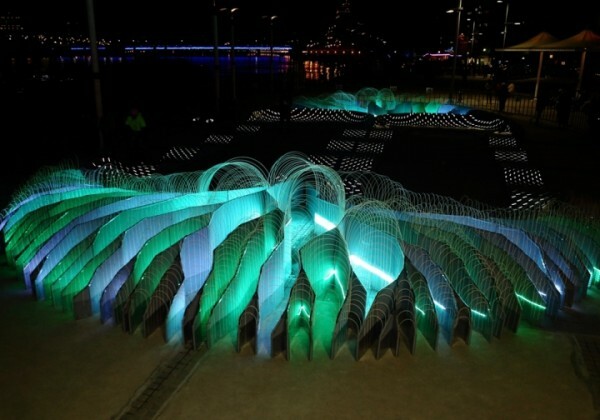 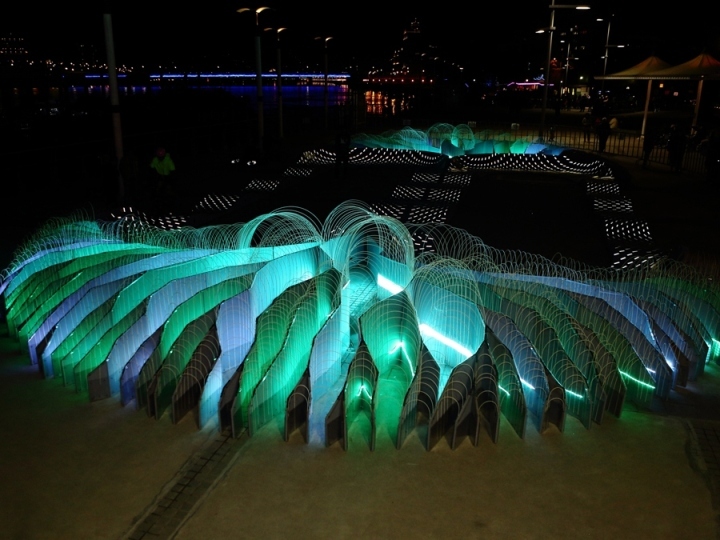 A dynamic and interactive light installation by Rachel Wingfield and Mathias Gmachl of London-based Loop. 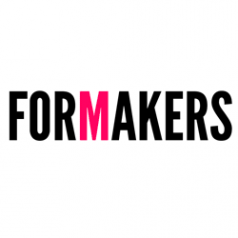 pH is shining a spotlight on an important consideration of urban life. 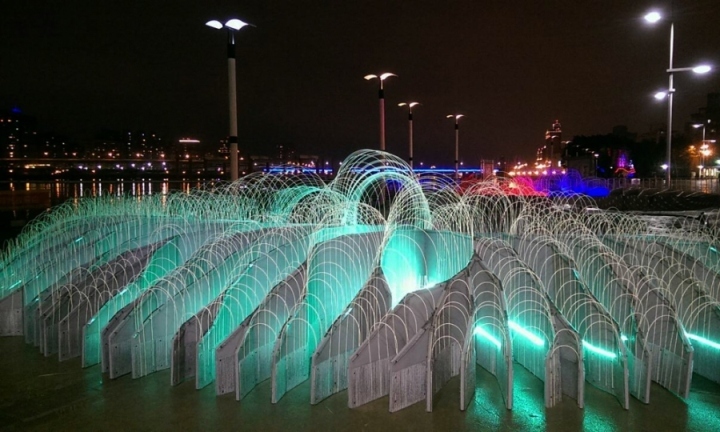 VelO2 raises awareness of air pollution in our overcrowded cities by utilising light to ‘make the unseen experienceable’. 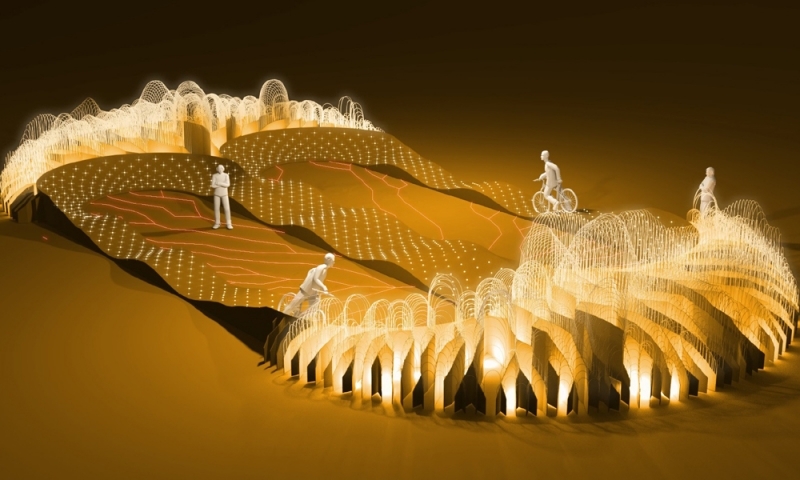 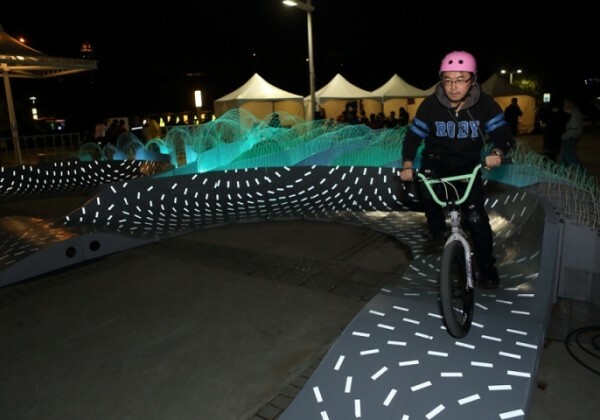 Air quality sensors to collect the fluctuating data is fed into the network system which create light trails as participants physically interact with the installation by cycling against each other around the two tracks. Commissioned and championed by Shin Kong Life and staged alongside the cycling conference Velo-City Global 2016, the installation draws attention to the importance of active lifestyles and air quality in building sustainable cities. 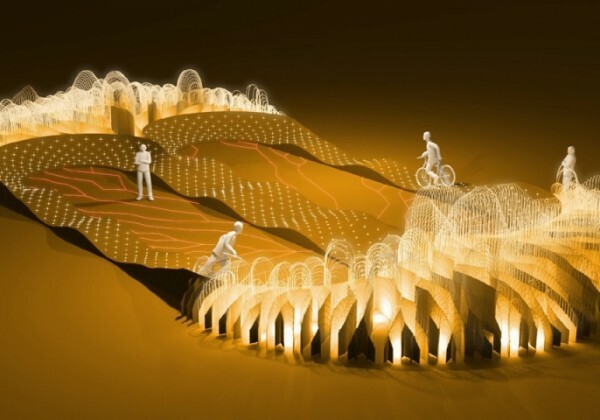 It is apt then that the design of the arena has been based on the form of the human lungs and its tree-like branches in the process of circulating air, visually communicating the cyclical process through interactive responsiveness. 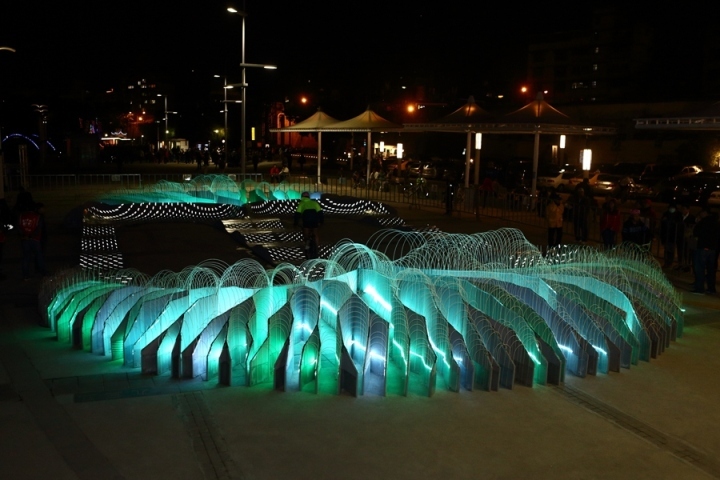 Loop.pH is blazing a trail with environmentally-focused installations that engage the public and VelO2 is no exception. ‘I am very passionate about this project and what we have been able to achieve together with Shin Kong Life who organised a meeting with the Minister for the Environment so we could discuss the role of the arts and design in using play, joy and urban design,’ Wingfield comments. 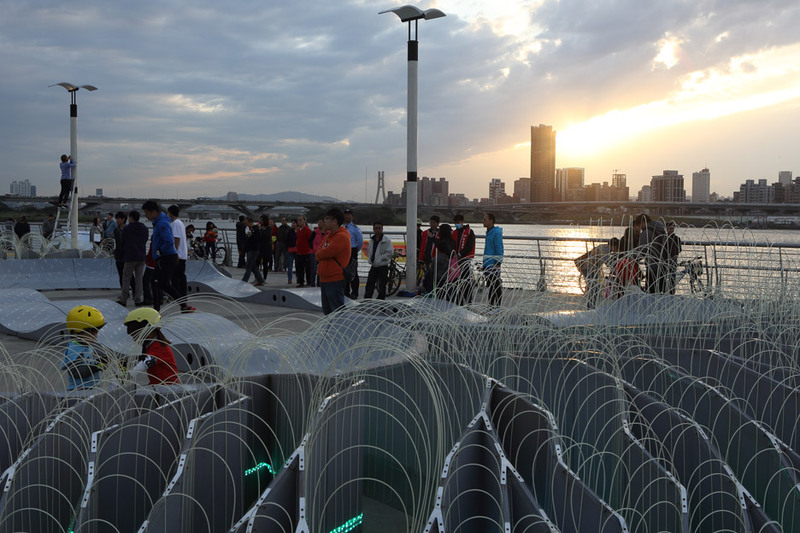 ‘I am pleased to be working in Taipei during its’ year as World Design Capital, recognising design as an important tool for economic, social, cultural and environmental change.’.